This page describes my contributions to Hadoop++/HAIL. See the detailed webpage at Saarland University here. Hadoop MapReduce allows non-expert users to run complex analytical tasks over very large data sets on very large clusters and clouds. 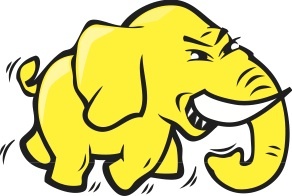 Hadoop MapReduce, however, suffers from poor performance due to inefficient scan-oriented data processing using a hard-coded query processing pipeline. This is undesirable for several analytical tasks in which users want fast access to their data. Seven Things to Know When Buying Shoes for an Elephant! Information Systems Lab 2009, Saarbruecken, Germany. Map-Reduce: Distributed Computing Made Easy! MPI Retreat 2009, Braunshausen, Germany. Replicated Data Storage System and Methods.